What are ‘Living With Asthma’ Education Programs about? The Living with Asthma Education Programs are run by The Lung Wellness Clinic and involve small group discussions facilitated by a Certified Asthma Educator. Topics discussed in the sessions include: what is asthma, how to manage and control asthma, triggers and use of asthma medicines. to enhance the health and well-being of children who have asthma and their families. 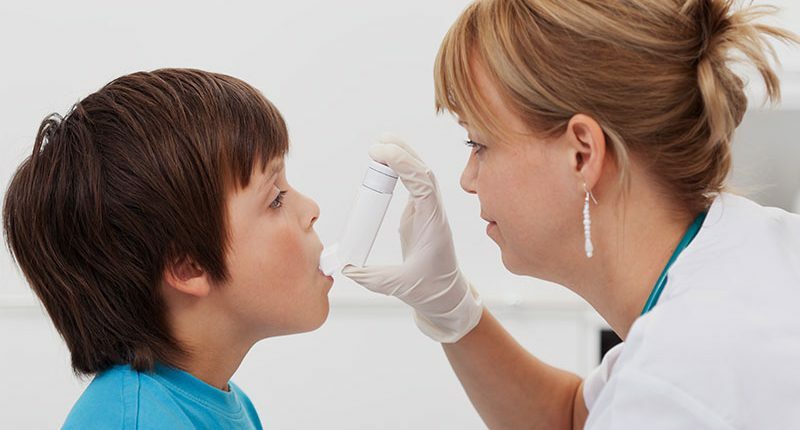 The goals of all Living With Asthma education programmes are to improve the quality of life for children and families by improving asthma management. Children and their families develop knowledge, attitudes, confidence, and self-management skills to lead healthy active lives. In addition Healthcare professionals will improve skills to deliver high quality care for asthma sufferers. Asthma in children under 3 years is particularly challenging. Education will be given on all aspects that will assist in the understanding needed for day to day management and long term care of the young asthmatic child. Education will focus on all aspects of asthma, treatment and devices, triggers and trigger avoidance, self-management and action plans for asthmatic children in this age group. Parents, families caregivers and asthmatic children aged 7 – 11 years will be included together in this informative and fun family education session and then later divided into adult and child groups for further information. The Lung Wellness Clinic is pleased to offer a program for teens 12-16 years old who have asthma. Teens have the opportunity to participate in asthma-related games and activities while developing their skills for good asthma control. Learn about its causes, how to control it, what can trigger an attack and what you can do to prevent it. Education sessions are held once a week for 2 weeks. Each class will cover different topics. These sessions are for Teens only. Teens bring a friend – your friend does not have to have asthma. Cost: R400 for both sessions including supper (Pizza) – Please let us know if there are any known food allergies. Fully comprehensive, basic, need-to-know asthma education will be shared with adult asthmatics covering an overview of asthma, causes, treatment options, triggers and trigger avoidance, self-management and action plans. This is an interactive, fun filled, small group, school based program for children with asthma. The program consists of five sessions, 1 hour in length, held once per week at lunchtime over a 5 week period. This program has been shown to have significant and clinically relevant benefits for children, families and school. One hour is spent in individual classrooms giving all children an overview on the basics of asthma. The aim is to increase asthma awareness and understanding in the community. Individual teaching sessions are available for families whose children have been diagnosed with asthma. Families receive information on how to manage and control their child’s asthma. An Asthma Educator is available to meet with a variety of community groups interested in the management of childhood asthma and allergies. Our Asthma Educators are also happy to work with all clinic staff. Ask your Asthma Educator for an update on such topics as how to use an inhaler device, how to complete an Asthma Action Plan, or how to perform spirometry. We would be happy to help your staff meet their learning needs. Creating a forum whereby mothers living with asthmatic/allergic children can share information and concerns with the support and advice of other Mom’s and a certified Asthma Educator.